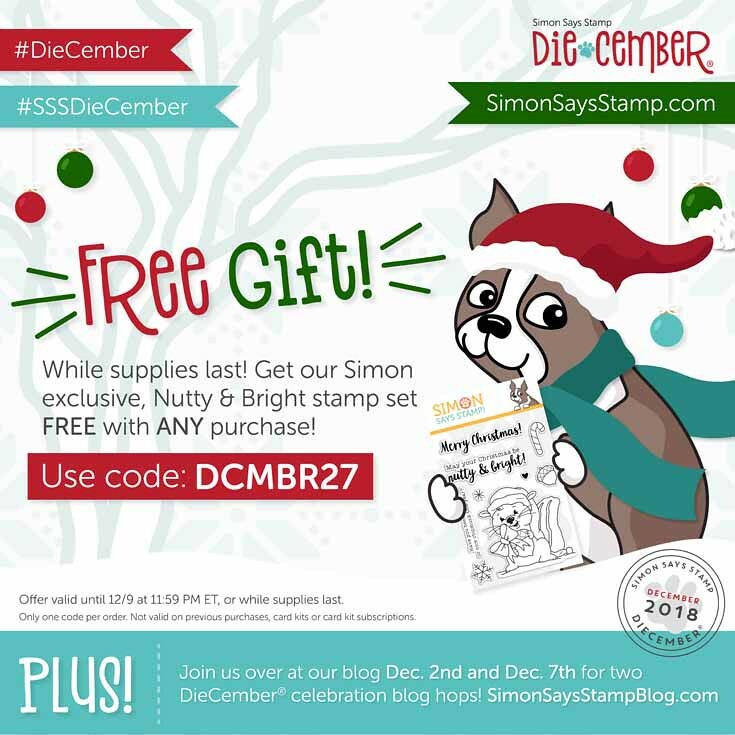 Simon Says Stamp’s DieCember is one of my favourite event on my calendar for the year. I look forward to the gorgeous dies Simon releases. I am so excited like a kid in the candy shop with the dies this year. I could not wait to play with them and share my creations. Hello and welcome to Simon Says Stamp DieCember Blog Hop. This is day #2 of the hop. The first hop was on the first of DeCember when the dies were released. You should have arrived here from the talented designer Anna-Karin Evaldsson’s blog. Don’t worry, if this is your first stop. I will list all the designers participating in the hop later in the post. I have two projects to share today. Both are holiday cards. 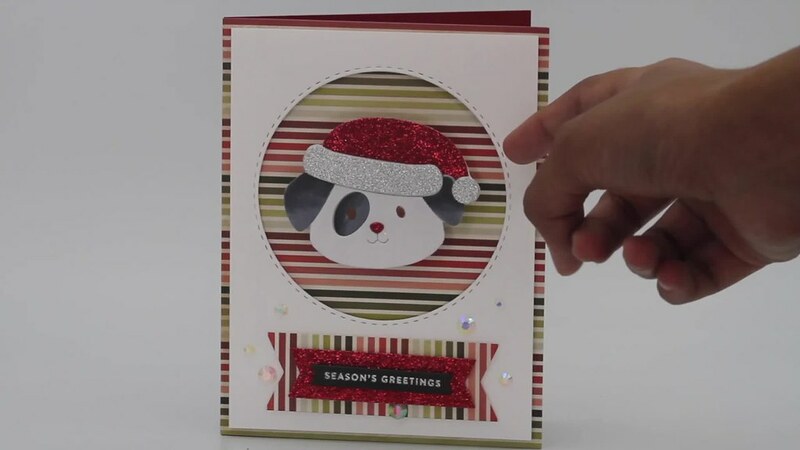 The first card uses the new Holiday Knit Border die. I used this die not as a border but die cut repeatedly to cover the entire panel like a cutting plate. I didn’t realise there was a cutting plate released as well when I made it. Nevertheless, I love the versatility of this border die. For the background, I used distress inks to add colour. I masked and sponged Barn Door, Abandoned Coral, Mowed Lawn and Twisted Citron. All of which is traditional Christmas colours. I then adhered the Holiday Knit die cut panel on top to reveal the colours through the knit die cuts. I adhered this panel on card base made of Ivory cardstock using craft foam. For the sentiment, I used Simon’s Merry Christmas die. This is an older die from Simon. I die cut this die three times with white cardstock and once using Simon’s gold glittery cardstock. I stacked and glued with the gold glitter die cut on top. I adhered this stacked sentiment on a vellum panel and adhered on top of the card front. 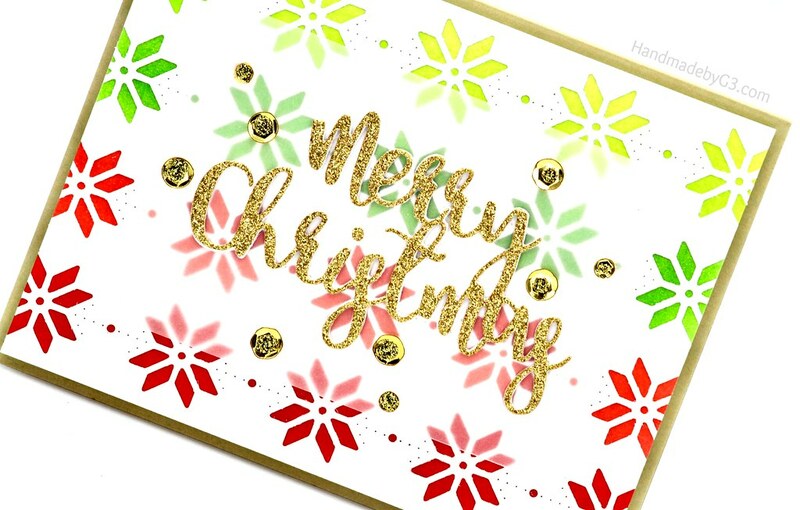 To finish the card, I added few gold sequins with gold stickles inside the sequins. Here are some closeups of the card. The second card showcases the new Picture Book Pup die along with the Nested Banner dies. I love picture book dies and I love puppies. So this one especially with the Santa hat is adorable. I made a wobbler card using it. I die cut the Picture Book Pup image using Neenah Solar White 110 lbs cardstock as well as Simon’s silver glitter and Crimson glitter cardstocks. To adhered the pieces together, I first embossed the image on a white cardstock and trimmed the outline. The embossing makes it easy to piece the die pieces in its place.With so many tiny pieces, this trick works like a charm. I coloured the ears and eye patch using C8, C6 and C4 grey copic markers and eyes using E25 copic marker. Now for the sentiment, I silver heat embossed the sentiment from Tiny Words stamp set from Simon on to black cardstock. I die cut this using the smallest of the fish tail ended banner die from Nested Banner die. I layered this banner on to red banner die cut using the second fish tail ended banner die and then layered on top of the pattern paper banner die cut using the largest of the fish tail ended banner die. I used foam tape for each layer. On the red card base, I used an old Christmas pattern paper to cover the entire card front. This pattern paper is from a Kaisercraft Christmas pattern paper pack. The I used the second largest stitched circle die from Simon’s Stitched Circle die set to die cut a white rectangle panel trimmed to 4’x5.25′ I adhered this panel to the card front using foam adhesives. Then used a wobbler on the back of the Picture Book Pup to adhere inside the circle. The sentiment layer is adhered below the circle. No embellishment needed as it is already an interactive card. You can see the wobbler action below. My daughter took this card immediately after I made it and given away to her friend already. I had to quickly take photos first before she took it. Anything dog related walk out of my craft room faster than any other card I make. It is either taken by family members or friends. This card was no exception. 🙂 All the supplies used to make this card are listed below. All the new DieCember release dies are available at Simon Says Store. Simon is also celebrating the DieCember release with $25 coupon to every stop on the hop from your blog comment section. We’ll choose your winners over the weekend and post on our Simon Says Stamp store blog on Wednesday, the 12th of December. There is also a special promotion with the release. See details below. The promotion is valid until 12/9 at 11.59PM ET or while supplies last. Here is the list of all the designers participating in the blog hop. Hope you enjoyed my projects and got inspired. You next stop is to the gorgeous Elena Salo’s Blog. Enjoy your hop and have a lovely weekend. Love your cards… the second one is just darling with the sweet die. Cute critter card and those first two are so pretty using that border!!! Your cards are great! Love the background behind the die cut layer, and the wobbler on the picture book pup is just to darned cute! Love all the Big Picture Book animals and also how you used the border die. Great cards. Your cards are both so adorable! Love this new release. Love the cards and appreciate your creativity! This is a fun release from SSS! Wow! Beautiful cards!!! Your little puppy is totally cute!!! Great cards! I especially like the one with the adorable puppy. That cute wobbling head is bound to bring a smile to even a Grinch’s face. Thanks for sharing! Love your cards, especially the puppy!! I’d walk off with it too, so I’m in agreement with your daughter. Lovely cards!That puppy is so sweet! These are such wonderful designs. Your puppy card is so adorable. Terrific cards! The puppy is so sweet. Awe puppy with the Santa hat – so cute! I LOVE the knitted die. So cute. Love your card with the Holiday Knit Border Die!! Fabulous!! Your puppy is ADORABLE!!! These are beautiful I love the background you created with the border die, that’s a good inexpensive alternative to the cover plate. The little wobbly puppy is so cute! Clever to repeat the die cut that way, and that pup is so cute too! Beautiful cards! 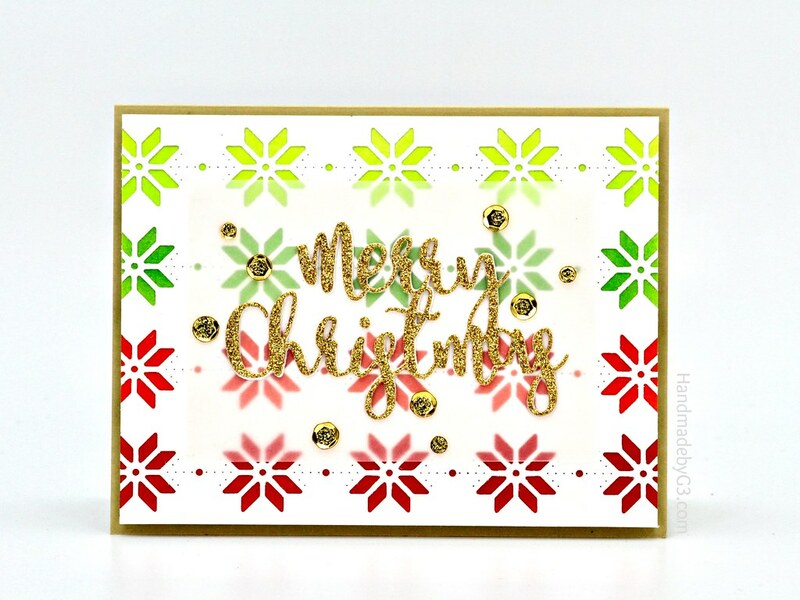 Really like that pointsettia border die! I do LOVE the holiday border knot die. I also love the card you made with it. Like the looks of the repeated Poinsettia die/stenciling/inking. Like the cute dog die which I ordered & looking fwd to receiving. Love your use of color. Thank you for sharing. So inspirational! Gorgeous cards, both of them. Really like your designs and colour choices! Thanks for the inspiration. Fabulous cards!! Love the puppy!! The colors on the first cards are so pretty!! Oh your puppy is just SO adorable — and the perfect striped background — yes, all good. 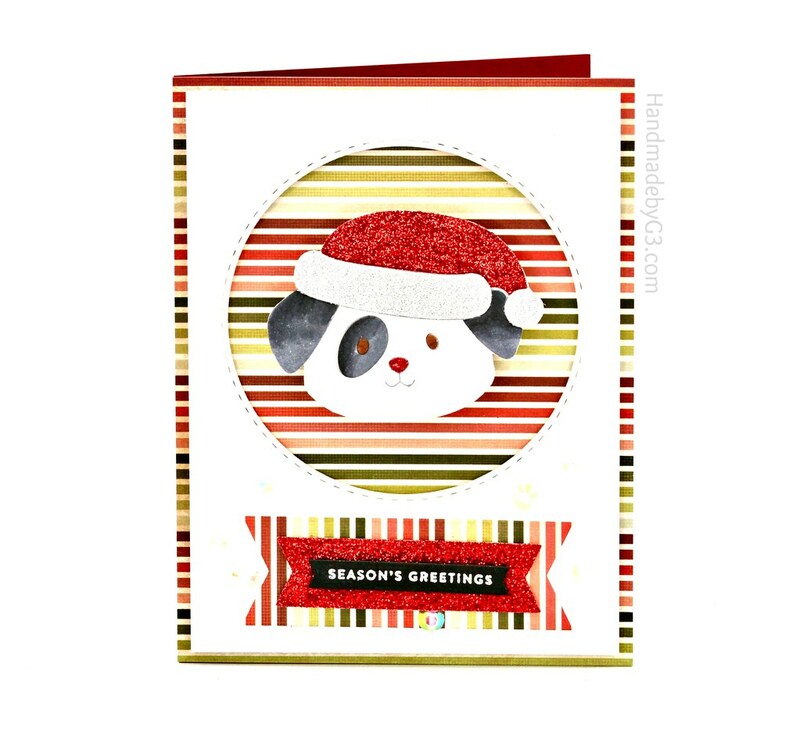 Fun, funky snowflake card, great pops of colour in an unusual way, loving that puppy card, so fun & cute. 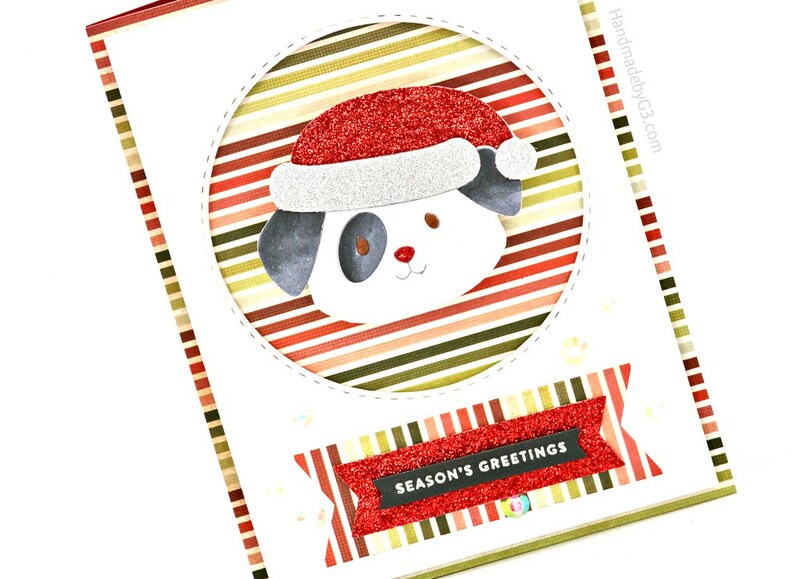 Love those bright colors on the first card and that adorable dog on the second! Love your cards, the Christmas rainbow is beautiful! Lovely cards. Your puppy is cute! Love both of your Sweet cards!!! Love these, they are really detailed. Great cards! I love the picture book animals. Both are awesome but I LOVE that puppy one! What a cute sparkly hat! How cute is the wobbly pup! He’s adorable I can see why your daughter walked off with him. Great cards – I am a sucker for anything dog, so of course I love your dog card – and that knit background card is great too – I swear I had a sweater dress like that as a kid! Great examples – thanks for sharing your talents. Gorgeous cards – your backgrounds are just divine! Gayatri, these are great. Love the versatility of these dies, the border die worked out just fine as a cover die, so beautiful. Love your Santa puppy, super adorable especially with the wobbler. The cute puppy die set is a sweet addition to the animal series, but I am intrigued by all the design ideas for the simple nested banner dies. Definitely an item to add to my wishlist. Love how you used the border die and the colors are so happy. Also, the puppy Santa is super cute! I’m glad I’m not the only one who doesn’t realize there’s a product to make life easier for myself. But you did an amazing job with just the border. And you can’t go wrong with those adorable picture book animals, but to add a wobbler? That’s takes it to a whole new level of awesome. Thanks for sharing with us! Gorgeous and I love your critter card with the wobbler. Love these colorful cards, they are amazing. Love the simple lines on the first card. Wonderful projects. That Picture Book Santa is so adorable — love it! great projects, love the Santa pup. Thanks for sharing these great projects. Oh, that puppy is so cute! All those critters are darling. Have to have that border die! The pup is adorable! Great cards! Thanks for sharing your cute cards! Thanks for sharing your beautiful cards. I love the way you used the border die. Very beautiful cards. Love the new release. It is fantastic! I love the colors you used in your cards! I really love the Pup card- those picture book dies are so cute! 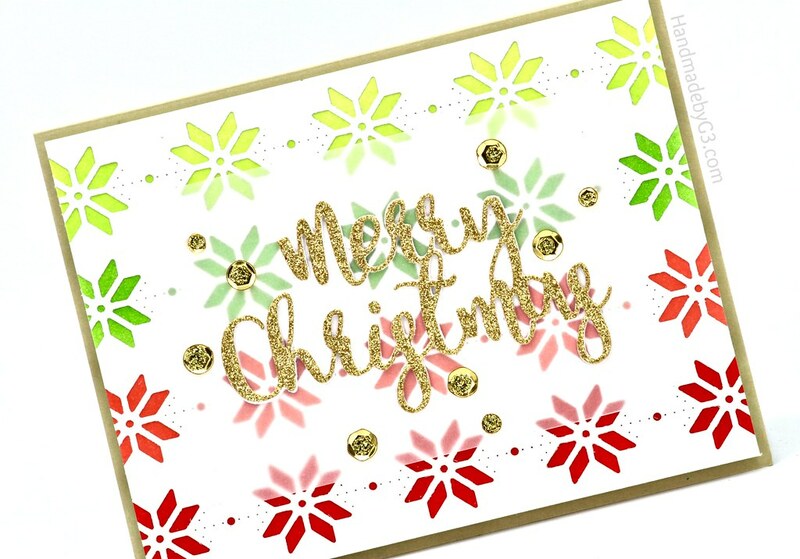 Love your card with the Holiday Knit Border and great thinking to make a background with it. Yes there is a background die but the way you used this border, you have 2 for the price of one! The second card is almost to cute for words, those Picture Book dies are so stunning. I love the quilty dies. So beautifully done. I do like the ‘Picture Book’ die series……Cute, cute, cute! Wonderful cards, so very creative! Great cards! I love the Christmas colors showing through the knit border on your first card. It’s so festive and cheerful. 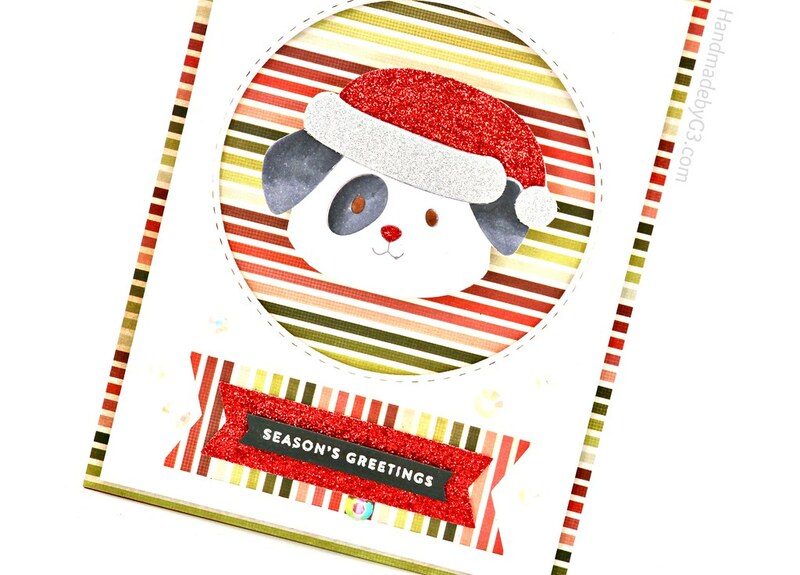 The Santa puppy makes such a cute wobbler card! WOW – I LOVE these new dies and how versatile they can be, your pup is ADORABLE and your knit pattern card a DIE-LIGHT! The puppy is cute, but I love the snowflake card the best. Great cards! The dog is super cute! Lovely cards, I just love the Big Book puppy die you used, you’ve given me inspiration on how to use mine! I too was like a kid in a candy shop with this release, and if I were your daughter I would have snatched that card up too, it’s so stinkin’ cute! Great cards! Love the bright holiday colors. The pup card is so cute! Love that he wobbles and sparkles! Puppy looks ready for bed! Too cute! I love how colourful all those cards are! So bright and cheerful! Fantastic cards! I love the striped paper and the glitter hat! Fun card! I really like the Picture Book animals and I think you did a great job using the dog in your design! That first card is beautiful (love the knit border and background dies!) and that second one is super cute! I love how you used the supplies from Simon Says to create such unique and clever cards. Thank you for the inspiration.